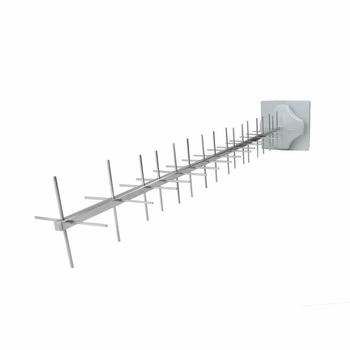 The airMAX 900 MHz YAGI is a high-gain array antenna designed to seamlessly integrate with the Rocket M900 radio (sold separately). It features incredible range performance (20+km) and breakthrough speed (90+Mbps real TCP/IP). • Hpol Beamwidth: 29-34 deg. • Vpol Beamwidth: 29-34 deg.